=Visiting our general dentist blog is a great place to start if you have any questions about what a general dentist does or are just looking for information on oral health and hygiene. We tend to focus a lot of our attention on the healing side of dentistry, providing ways to understand what we do every day and how they can avoid some of the challenges our patients face. Since much of our focus is on preventative medicine, we educate patients on topics such as oral health and hygiene, gum diseases, great brushing habits, tooth decay, cleaning, and more. There are a lot of places on the internet where patients can get false information that can mislead patients. Thus, we offer basic information in this blog and are happy to answer any other questions over the phone. As a general dentist, we know that there are all kinds of oral health problems that people face. Some are rare while we see others virtually every day. Since the vast majority of what we deal with are similar challenges, we decided to talk about two of the most common reasons why people seek out the aid of a dentist. Cavities and bad breath. A cavity is a small hole that forms in the enamel of the tooth due to decay. Bacteria, which resides perpetually in the mouth, colonize the teeth. Often one will see a thin film-like substance on the teeth (plaque). When the plaque builds up, the bacteria secrete an acid which starts to erode the enamel of the teeth. Eventually, the acid will eat a small hole or a cavity into the tooth itself. Left unchecked, cavities can cause discomfort, spread, and can lead to conditions such as gum disease. The good news it is not difficult to avoid cavities. Simply brush twice a day, learn to rinse the mouth after eating a meal or a snack, floss regularly and have general dentist visits at least twice per year. Bad breath is another problem that plagues many people. With someone who has bad breath, there is typically an underlying health cause that requires dental treatment. While it is natural for people to have bad breath after certain foods, think eating garlic, chronic bad breath can be much worse. This type of bad breath can include bacteria on the tongue, cavities, gum disease, and oral cancer. If brushing frequently, using anti-microbial mouthwash, and having good eating habits does not get rid of the bad breath, then patients definitely need to call our general dentist office. We can examine your teeth and gums to determine if you have a health condition that needs to be addressed or if you simply need a deep cleaning. 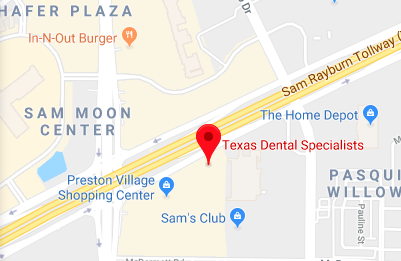 Our dentist office in Plano can assist with both issues to restore you to good health and fresh breath.